Oanda was founded on the premise that Forex trading should be accessible to all traders and based on fair and transparent business practices. Oanda’s promise is to help you get the most out of trading and they back that dedication with an award-winning platform, exceptional execution, transparent pricing and access to free tools like market news, a demo account and trading education. Oanda offers several different trading platforms including MT4, their propriety FX Trade platform, Rest API, and they are fully integrated with TradingView. 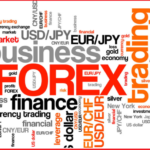 Trade Forex right from your web browser, mobile device, or desktop. Access OANDA Advanced Charting to analyze the markets with over 100 technical indicators and drawing tools. At Oanda you can trade all forex majors plus over 55 other FX pairs on their award-winning proprietary desktop platform, mobile apps or MT4 and access competitive spreads. Trade index, bond, commodity, and precious metals CFDs at Oanda on a competitive pricing structure. Spreads are only part of our equation – execution quality also factors into the cost of your trades. Oanda’s proprietary v20 trading engine is fully automated which means that once you decide to trade, you can do so confidently knowing there’s no algorithmic software designed to alter your trades. With Oanda’s Spread Only account having no added commissions and no minimum deposit, you get a transparent pricing model and highly competitive spreads. Your cost to trade is the spread.